I’m making the call: an era of Australian cricket ended today. The era started in 1987, when Australia unexpectedly won the World Cup. It ends today because the continuous improvement that started with that win has stopped. Time to go back to the drawing board. In 1987 Australian cricket was hungry. A decade of sputtering cricket since the mid-1970s, helped by the World Series circus, meant Australia had not had a cohesive team for a decade. The advent of one-day cricket meant leading players were being asked to play more than ever before. We know now that as late as 1986, Australian players thought drinking Fanta was the best preparation for a day’s play. They figured the sugar was important. From 1987 onwards, the team started to get more support. Sports scientists and academies became part of the scene. Our national team soared: we’ve played in all bar one World Cup final since 1987 (and won three we did play in) and swept all before us at test level. The lineage from Border to Taylor to Waugh to Ponting was always about taking the foundations of the predecessor and building on them. Taylor added tactical sophistication. Waugh played on the edge of the rules as a kind of cricketing thought experiment. Ponting’s job has been to adapt a team, to find a way to dominate without generational genius. Alas, the great batter (check his numbers, he is a great) has not been able to pull it off. With a second collapse for under 100 in six months (we were all out for 88 vs. Pakistan) it is clear that the team is in crisis and Australian cricket needs to rebuild? Sheffield Shield cricket is a shadow of itself: The competition is producing lopsided results with teams bowled out for very little while tailenders rack up centuries. As Peter Robuck points out, young players don’t come up against superior players often. Instead, they play against their peers in tournament play. This produces situations like a retired Glenn McGrath predicting in a festival 20/20 game just how he would get Dave Warner out (straight one, straight one, away cutter) and then doing so. Up and coming players may have great body fat levels, but little nous. And at the peak of the game, the mens national team, we see a bowling attack without wit or discipline. Not all is grim. In Hughes and Smith – and others outside the team, no doubt – we have players with raw talent and the spark to succeed. But they won’t get there, I feel, with the current management and methods. Ponting must be retained as captain for the World Cup. He won the last two without losing a match. For the next tour, a new captain must be tried. Off the field, a thorough review is needed. The line and length of Australian cricket is now predictable. It’s time for a new era. Wikileaks is on the run. Julian Assange is in jail. Here’s what the world needs now. 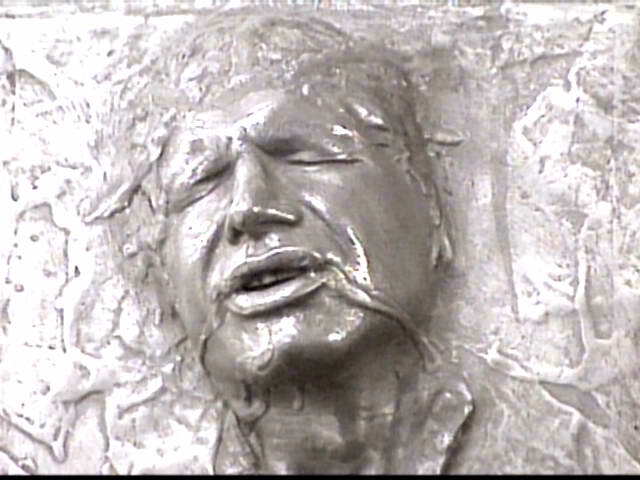 Julian Assange should be frozen in carbonite and delivered to Jabba the Hutt. This proposal makes as much sense as all the rest of the hand-wringing I’m finding it hard to avoid at the moment. I was thinking the other day: if seals are the aquatic evolution of dogs, and dugongs are the aquatic evolution of bovine animals, what is the aquatic mutation of pigs? I know it’s not likely to be true, but I hope it’s dolphins. Because Dolphin Bacon would be awesome.